Summing up Moroccan food in one word is easy: COMPLEX. While Moroccan dishes may seem as simple as meat and vegetables, the detail hides in the flavor. Layered mosaics of exotic spices are made even more complicated by the sweetness of dried fruits, the warmth of roasted nuts, and the brightness of herbs and citrus. Ironically, spices aren’t indigenous to Morocco. Actually most of these ingredients are not – they were brought over either by trade and by the empires that colonized Morocco over the last few hundred years. Arab leaders brought over spices, dried fruits, and nuts. Moorish influence can be seen in the presence of olives and citrus. The Ottomans left kebabs; the French left pastries and cafe culture. 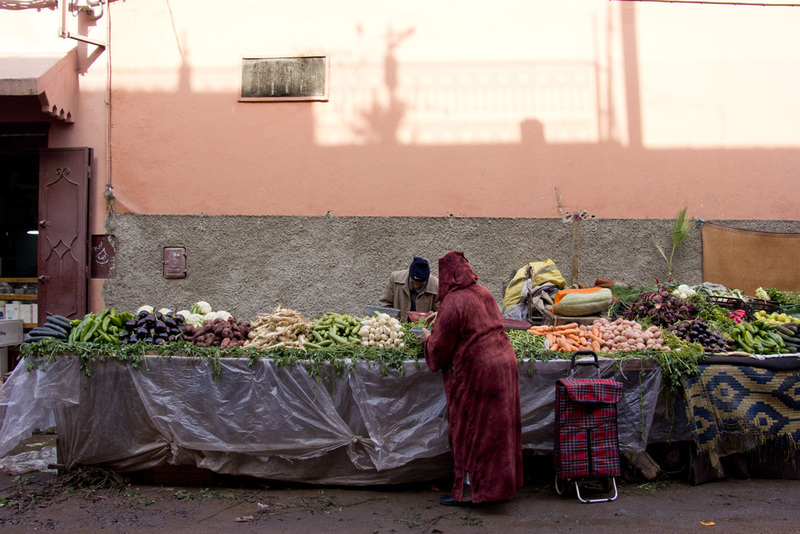 At the root of it all is the food of the Berbers – the one true native population to Morocco. But modern Moroccan cuisine isn’t any less Moroccan than pure Berber dishes like tagine and couscous – it is a blending of generations of history and influence. 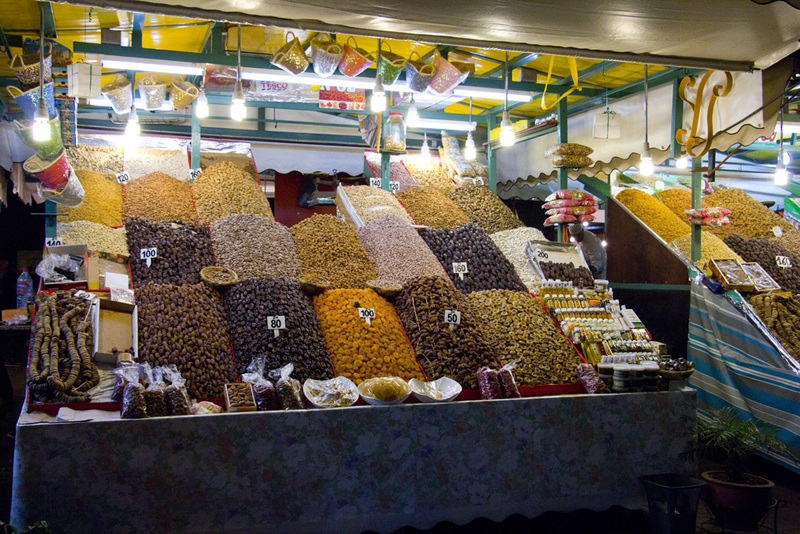 Looking around any market, you’ll see mounds of Morocco’s most important spices. Cumin, cinnamon, turmeric, ginger, pepper, saffron – the list goes on. 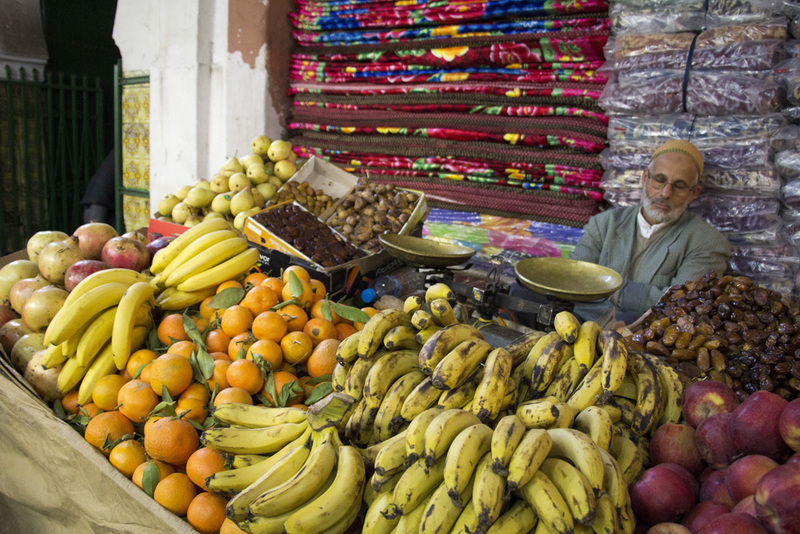 You’ll also see fruit stands piled high with lemons and oranges, bananas and prickly pears, apples and pomegranates. Dates and nuts are everywhere and the scent of fresh pastries wafts in and out of bakeries. 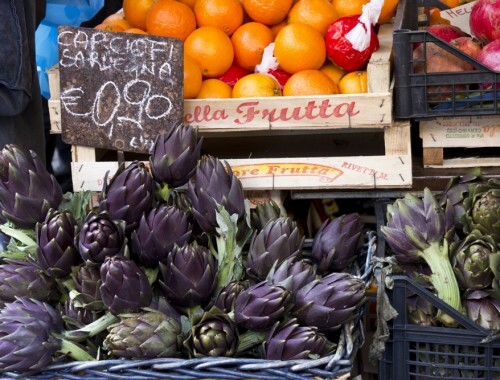 And of course you’ll always find baskets of locally grown vegetables. The variety of food is astonishing – it makes me tired just thinking about it. (Like this guy below I found in the medina). totally passed out fruit guy. My trip to Morocco was a mission to taste as many intricate flavors and signature dishes as possible. I wanted to find the most flavorful tagine, find the sweetest oranges, and devour the fluffiest possible couscous – a task which I assumed would not be difficult. I’d wander from stall to stall in Djemaa El Fna, from cafe to cafe, and maybe visit a white-tablecloth restaurant as well. I’d sample local breads (as a toast addict, I felt it was my duty to do so) and taste dishes from other the cultures that have heavily influenced Morocco. How did it go? Eh. I had high hopes, but I was not impressed overall. I know – an unexpected and disappointing outcome. So here you go – my review of Moroccan cuisine throughout Marrakech and Essaouira. The good and the bad. 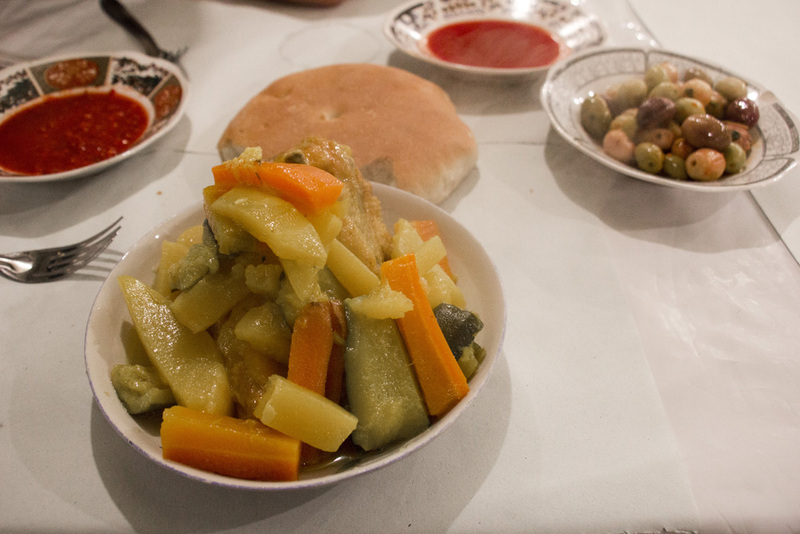 Tagine is a Berber dish that can be found all over Morocco. Using a pyramid-shaped clay cover to keep in steam, tagine pots cook a mixture of meats, vegetables, and fruits over coals with only a small amount of water. (which makes it ideal for the desert) Tagines are usually seasoned with spices like cumin, cinnamon, paprika, turmeric, and saffron. The tagines I had ranged from excellent to bland/boring. An excellent one was found was at the restaurant Le Marrakshi in Marrakech. 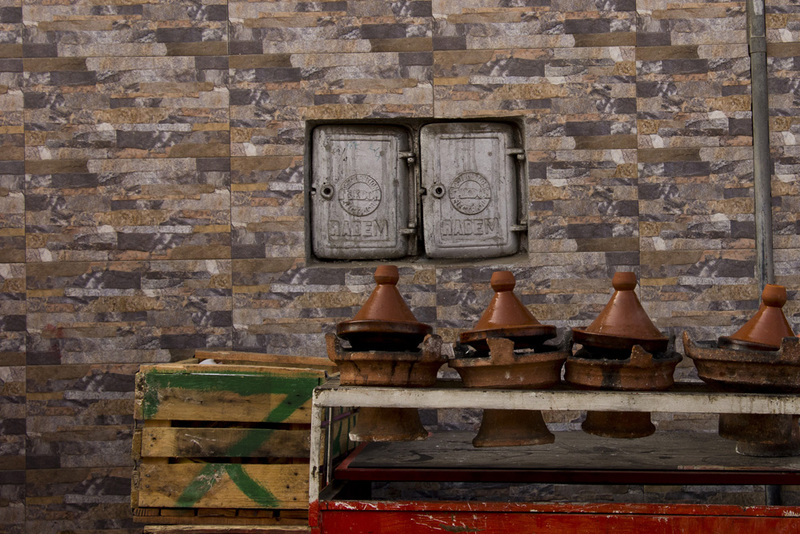 It’s located a short walk from the center Djemaa El Fna and offers traditional Moroccan food in a beautiful space. The walls are ornately tiled, candles light up each table, and lanterns project tiny shapes of twinkling light all around. My tagine was delicious – lamb with zucchini and rosemary. Definitely the best one I had in Morocco. And if you are hoping to enjoy for a bottle of Moroccan wine during dinner, Le Marrakshi does serve alcohol. (Remember, this is a Muslim country so alcohol is not readily available wherever you go). **There is no photo since the light is so dim here. Sorry! 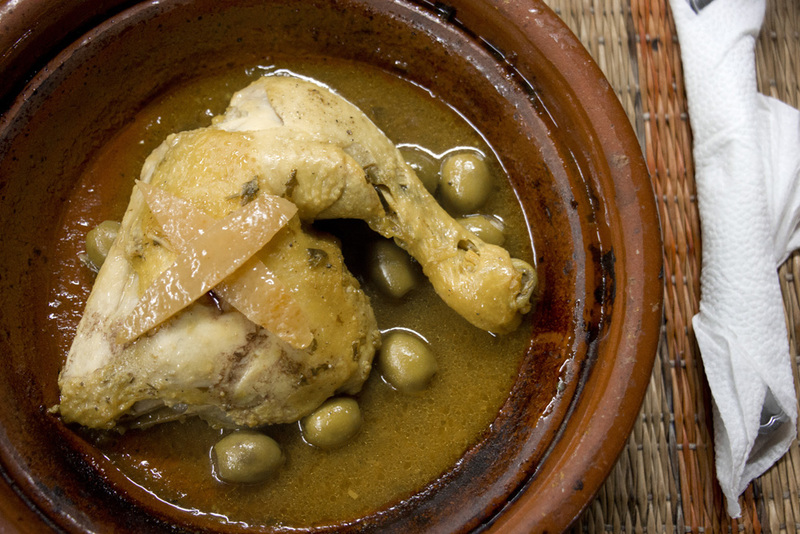 One of the most typical tagines you’ll find is made with chicken, preserved lemons, and olives. It has a rather electric yellow color, from the turmeric, and can have an electric flavor if done well. 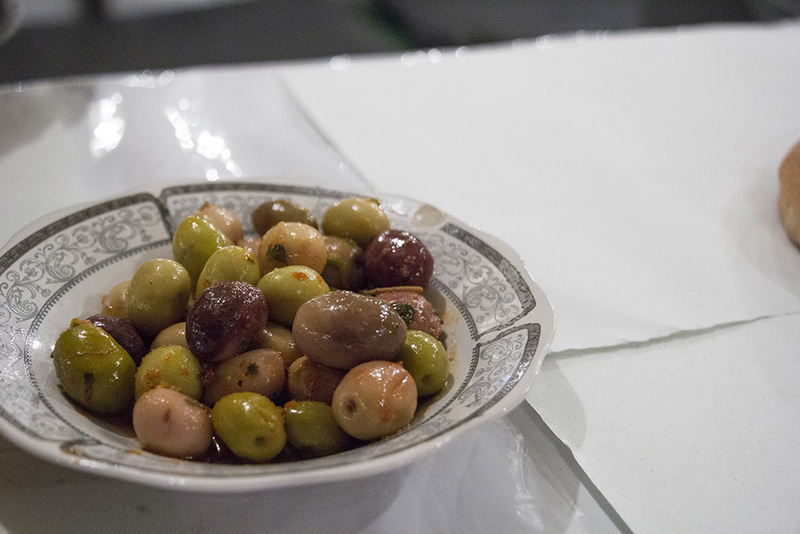 This one pictured here was in a no-name lunch cafe in the Marrakech medina, and the olives were the best part. The chicken, while extremely tender, was too small. I recommend large amounts of bread and or a bowl of couscous for the side if you want to feel satisfied. Eating in Djemaa El Fna is a must for the experience alone – being surrounded by the chaos of the square at a table in the open air. 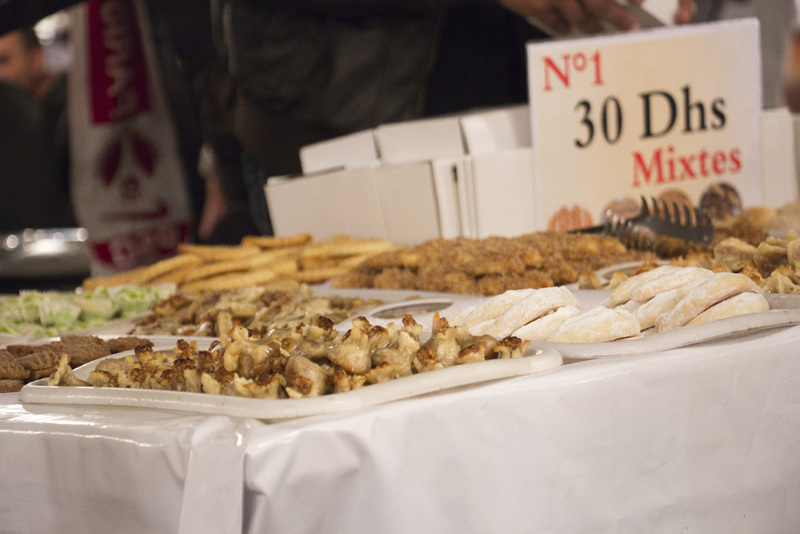 The food at the stalls, however, is hit or miss. 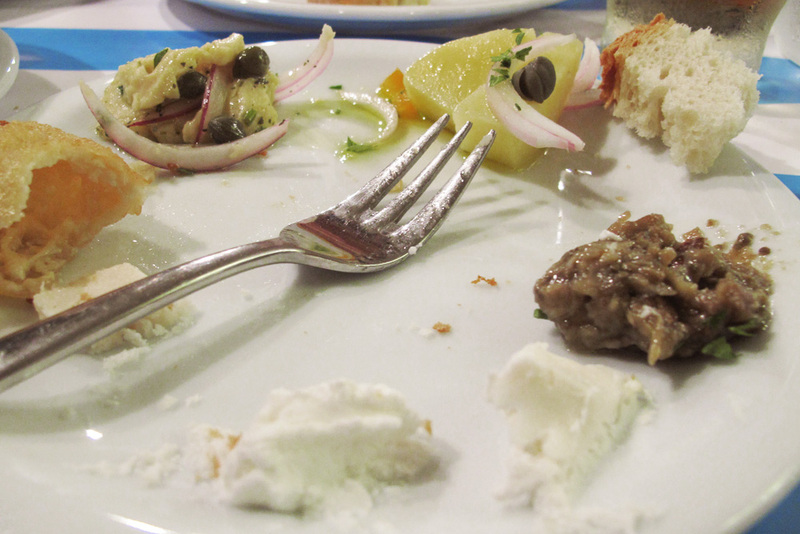 I’ve read accounts of travelers loving the food they’ve discovered in the square, but I was not so lucky. While the bread, chile sauces, and olives were tasty, I was disappointed by the blandness of the below chicken tagine as well as the mushy vegetables. Meh at best. Couscous is a staple of Berber cuisine as well. These tiny kernels of Durum wheat are a counterpart to tagines as well as to meat and vegetable stews. Couscous is steamed and can be prepared very quickly. I liked the couscous I tried, but nothing blew me away. Before any meal of tagine or couscous and stew, there is salad. Salad, however, does not mean green salad – salads here are more similar to Turkish or Greek mezes than to lettuce. Eggplant, tahini, carrots, raisins – you name it. As many of the salads may contain nuts or sesame, I did not gorge on salads since we need to account for food allergies on our trips. 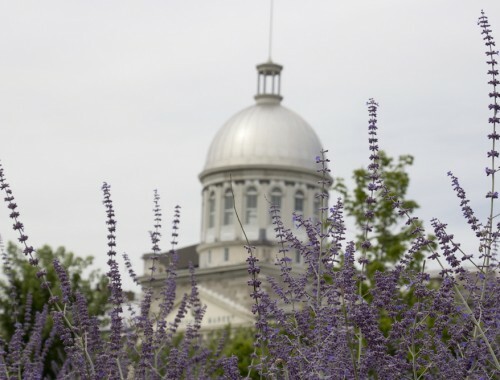 French influence is everywhere. From the language, to the cafes, to the pastries, to the omelets. 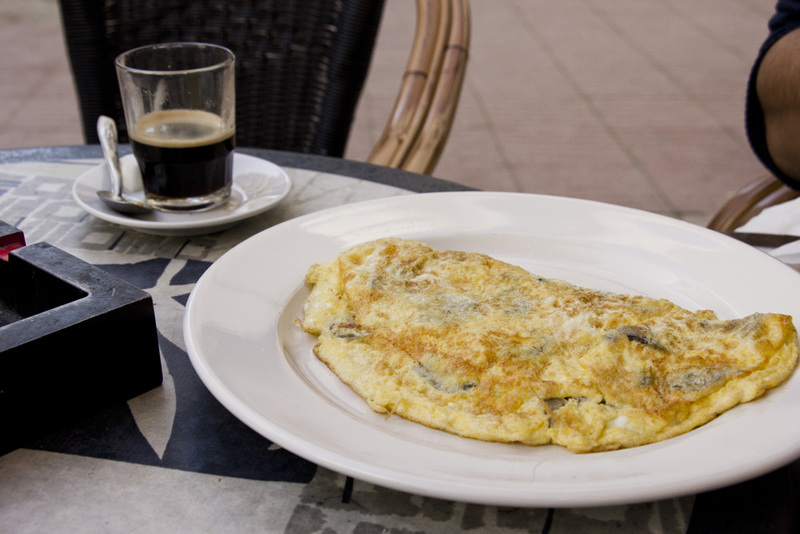 If you need a break from heavy spices, a french omelet is a good option. I thoroughly enjoyed this omelet in the slightly-Euro but very relaxing city of Essaouira, perched at a cafe in the medina. Sweets are famous in Morocco. Honey, nuts, sugar, butter, more honey. More nuts. Oh, and more butter. Basically, desserts in Morocco are like little party poppers full of sugar and fat that taste like heaven. There are mouth-watering bakeries and stands selling sweet things all over the place in both cities I visited, but the easiest place to try a little of everything was in Djemaa El Fna. Men wander around the food stalls with enormous carts piled high with various cookies and sweet snacks – and you can pick out a whole box of them and only pay 30 Dirhams. (that’s about $3.70) A whole box! But don’t stop there – get yourself to a real bakery to try some of the bigger and more complex pastries. You won’t be disappointed. Aaaah, my favorite meal of the day. The meal when eating toast is most acceptable. 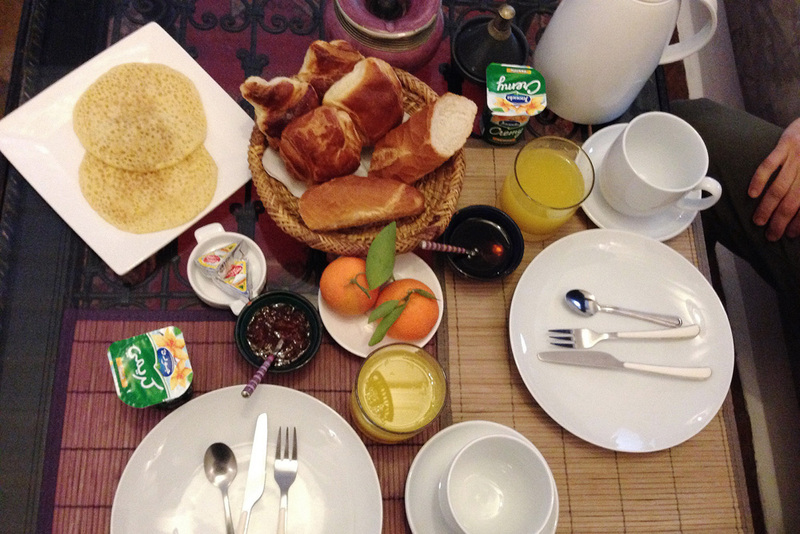 And thankfully, bread is a big part of a Moroccan breakfast. Music to my ears. I LOVED breakfast even though it wasn’t anything novel. I looked forward to it everyday. I could smother my Beghrir with honey and gorge myself on bread and butter and call it a local experience. And the buttery scent of fresh croissants was heavenly. Ok, so enough about the food….on to the drinks. Another extremely important piece of Moroccan cuisine: mint tea with lots of sugar. LOTS of sugar. And similar to cay in Turkey, mint tea has social importance. 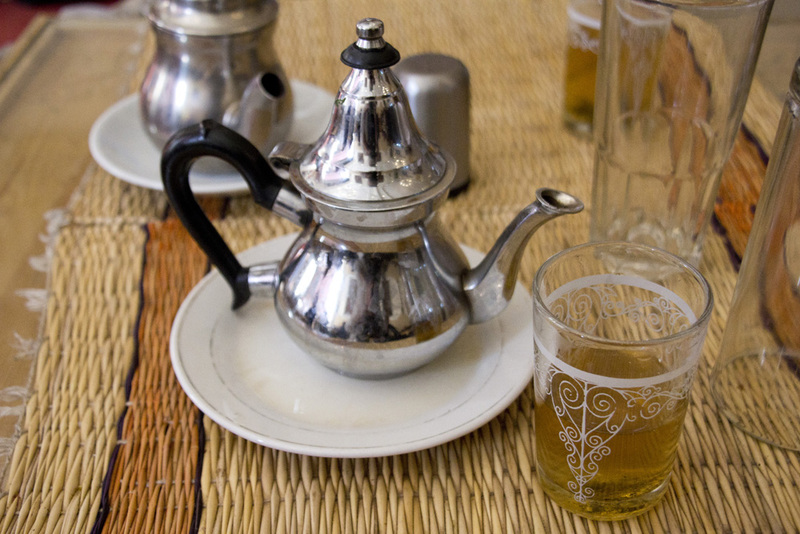 If a Moroccan is welcoming guests, tea will be served as a sign of politeness and welcome. It is drunk throughout the day and considered the drink of choice when relaxing at home with family or conducting business at a cafe. Traditionally, the tea is prepared by a man at a ceremony in front of the guest, but these days it’s likely your tea will be prepared in the kitchen and presented to you in a teapot with decorative glasses. It’s delicious. Even for someone like me who normally never adds sugar to coffee or tea. Like I had mentioned before, I never used to think of oranges when I thought of Morocco, Clearly though I should have. Orange trees grow all over the country and all over the cities. 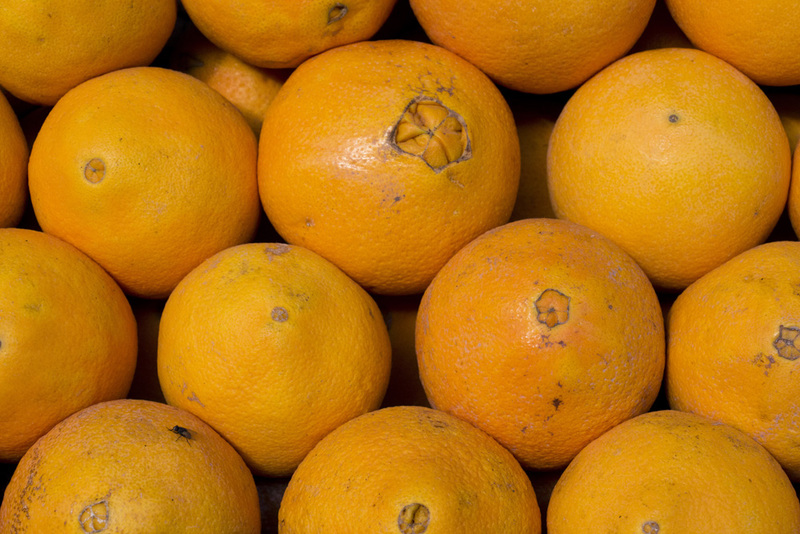 And as oranges are so abundant, orange juice is popular. 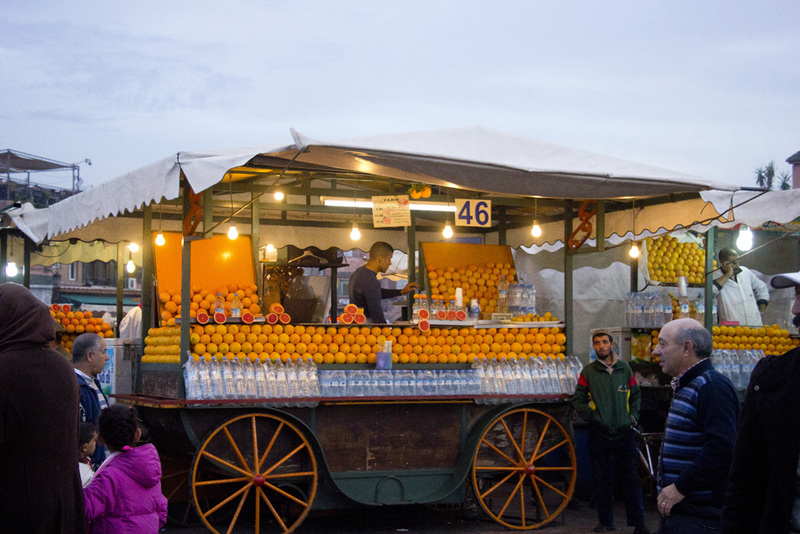 The juice available easily at the stalls in Djemaa El Fna in Marrakech is hands down the best orange juice I have ever had in my life – sweet yet refreshingly citrus at the same time. It’s freshly squeezed from local fruit with nothing added but a plastic straw. 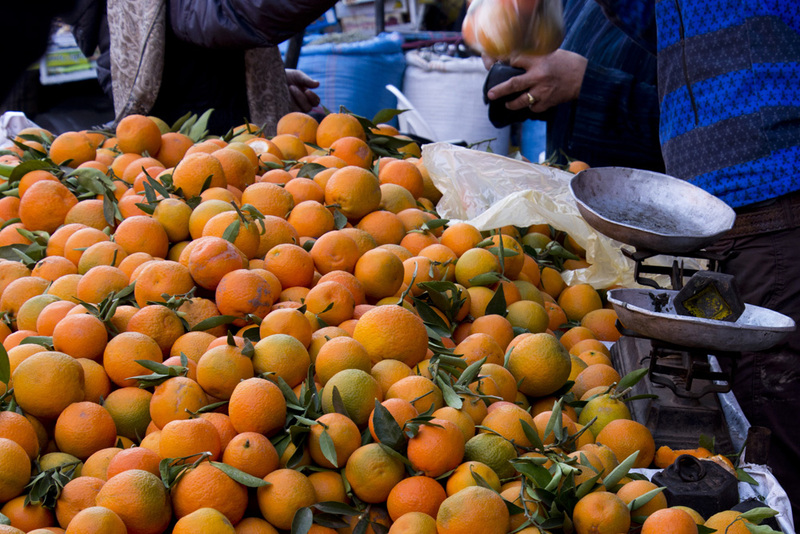 I definitely had more than my normal share of orange juice during our time in Morocco – it was just so good I couldn’t get enough. 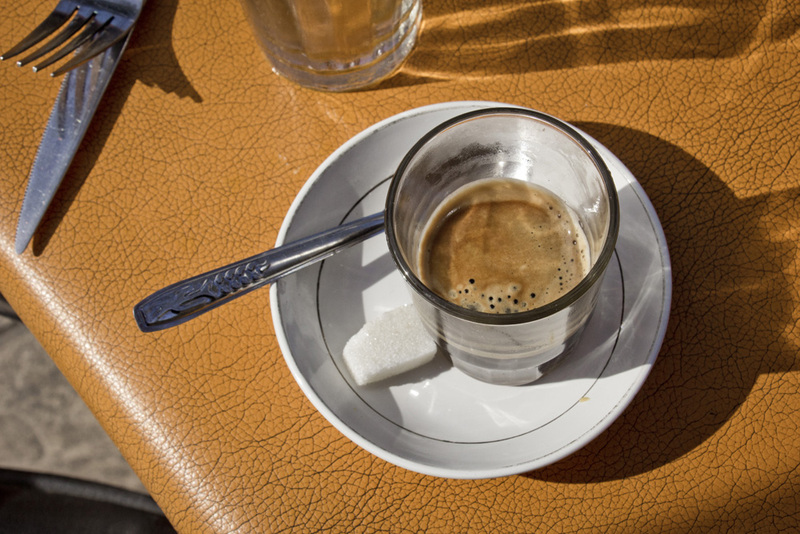 Coffee culture in Morocco is not too dissimilar from tea culture. It’s a social drink offered to guests and sipped over business conversations. Typically it is served like espresso – black and bitter with sugar cubes on the side. Cafes in Morocco feel very European, though the Italian down-it-at-the-bar-and-split technique is not practiced here. Coffee is a leisurely activity enjoyed for hours at a time. Traditionally it’s a man’s activity, but as gender rules are changing in Morocco, coffee gender rules change as well. Women, both foreign and local, are more and more commonly seen at a cafe. Morocco is a Muslim country so alcohol is not widely available or on display. You will be able to find cocktails, beer, and wine in hotels and specific restaurants though. And in these places, you’ll find Moroccan wine. I’ve tried Moroccan wine before and not been impressed. In Morocco, it was the same. While nothing of note has come from Moroccan vineyards yet, that doesn’t mean it won’t at some point. But in the meantime, it is worth a try. Did you enjoy Moroccan food in Morocco? 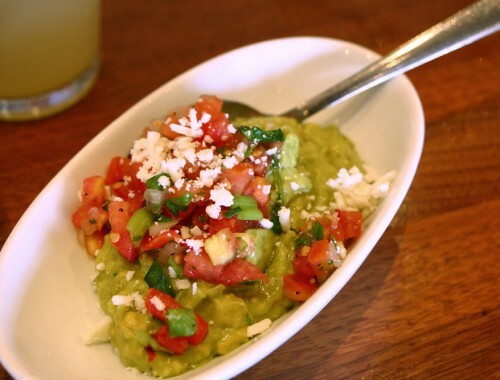 What dishes were your favorite? Fantastic pics! I love Moroccan cuisine!!! thanks Andi! Yeah, its so complex and when done right, its amazing! Heading to Marrakech in 6 month ~ any other restaurants other than le Marrakshi that you could recommend? I didn’t find any other places that were specifically awesome in Marrakech, but Maroc Mama’s blog has tons of recommendations! Yummy… I just love Moroccan food.